Mayor Baraka discusses how he is carrying out his vision for the future of Newark. Address will be aired on TV 78 and will be recorded for re-broadcast. 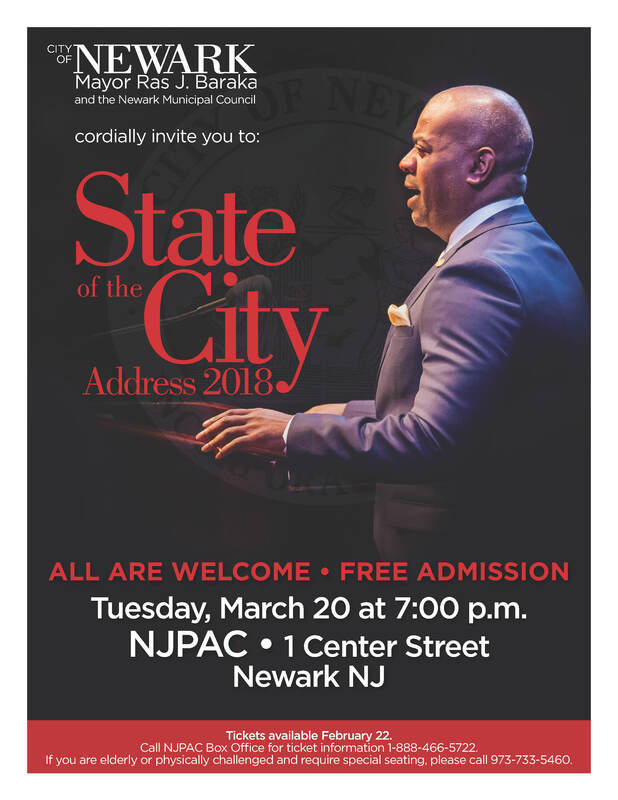 Newark, NJ – March 16, 2018 – Mayor Ras J. Baraka presents his fourth State of the City Address on Tuesday, March 20, 2018, at 7 p.m., in the Victoria Theater of New Jersey Performing Arts Center, located at 1 Center Street. Mayor Baraka’s speech highlights the accomplishments of his Administration, particularly in three critical areas – public safety; jobs; and economic development – and the new initiatives he and so many other Newark residents and organizations are working on together, to build a safer, more confident, and prosperous future. The The speech will be aired LIVE on the Newark Government Access Channel 78 (Fios 28), and will also be streamed live on YouTube.